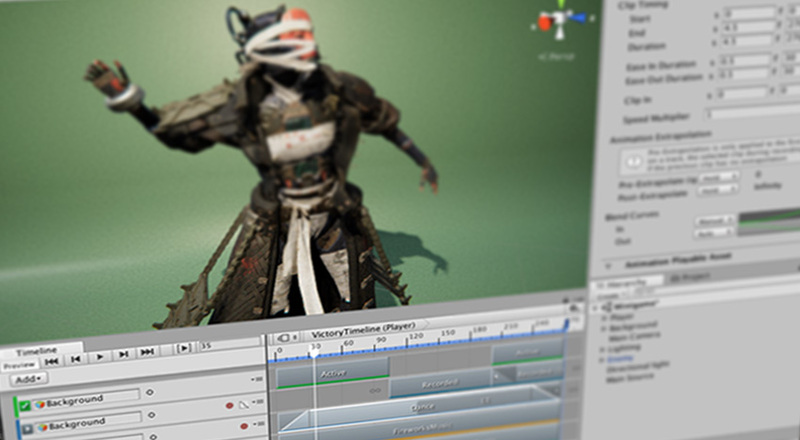 Use Unity’s Timeline to create cinematic content, game-play sequences, audio sequences, and complex particle effects. See in Glossary and Timeline instances simultaneously. The Timeline Overview section includes details on the relationship between the Timeline Editor window, Timeline Assets, and Timeline instances. The Timeline Workflows section shows how to create Timeline Assets and Timeline instances, how to record basic animation, and how to create cinematics.